DexaResources.com is a popular site with thousands of hits per day. We provide educational information to institutions, information about renewable energy products, professional engineering services and developmental engineering information. Our site is growing fast with new information every month. The Publisher reserves the right to reject any advertisement or advertising request at any time without warning or cause. 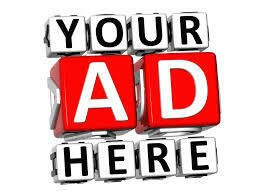 Other add placement sizes that are not found below can also be discussed. Submit all ad inquiries or to request a contract to: ads@dexaengineering.com.